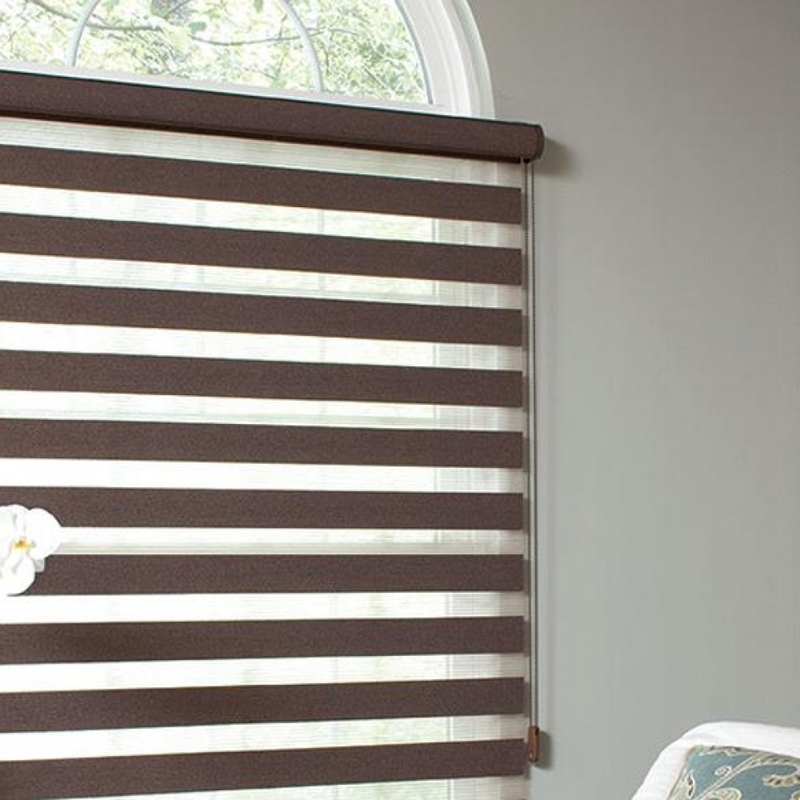 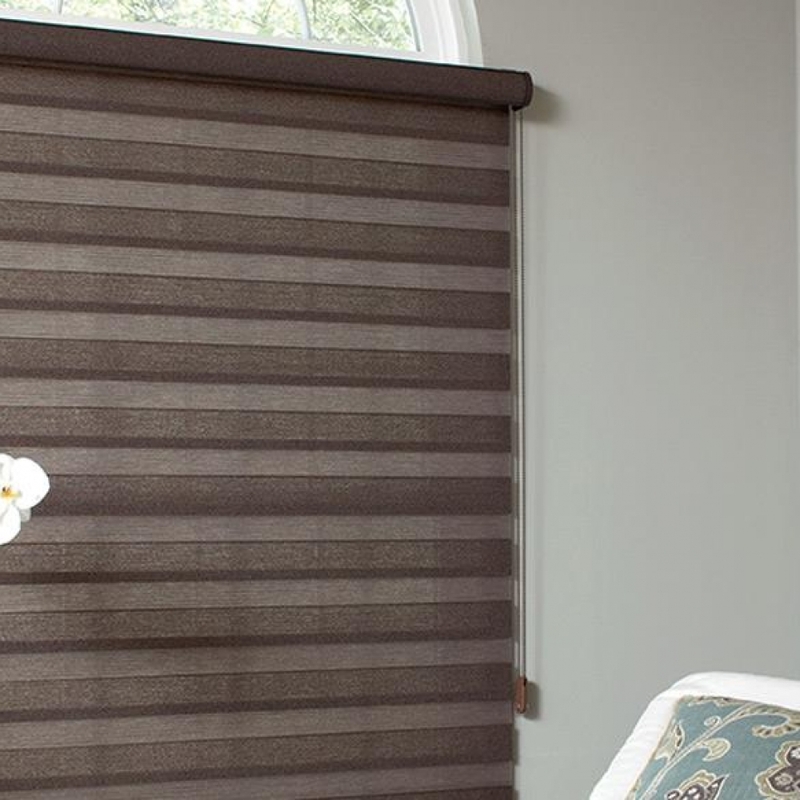 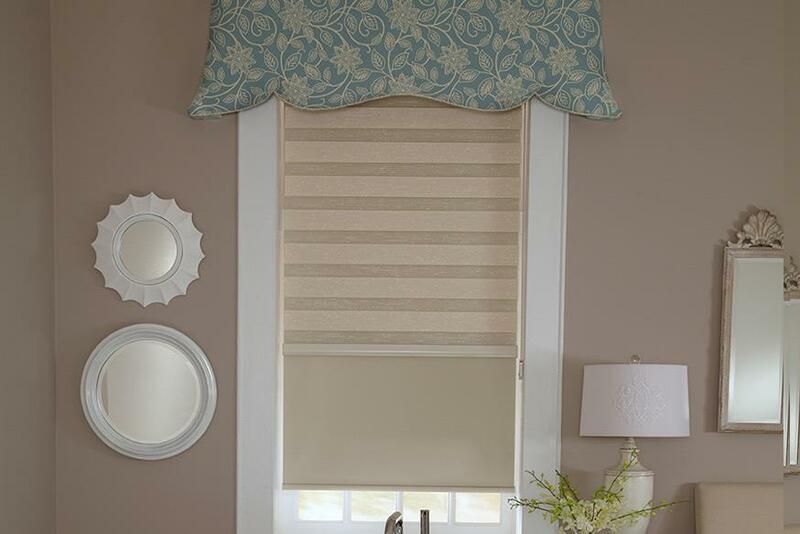 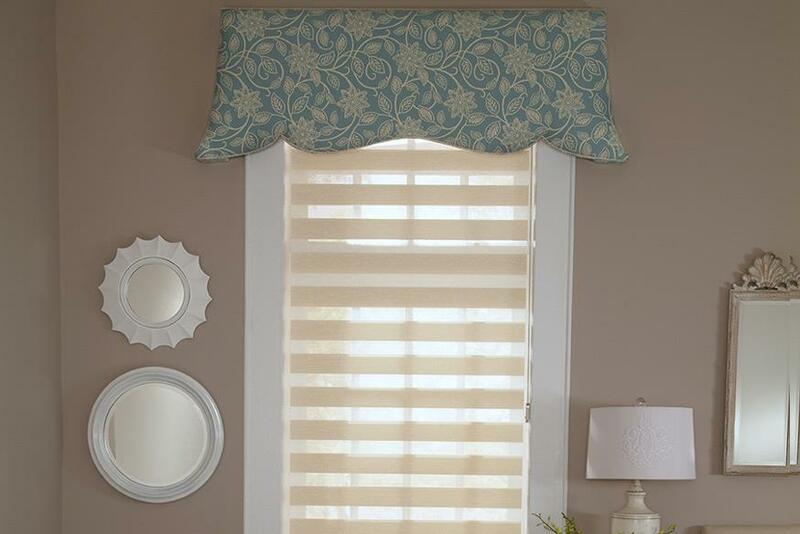 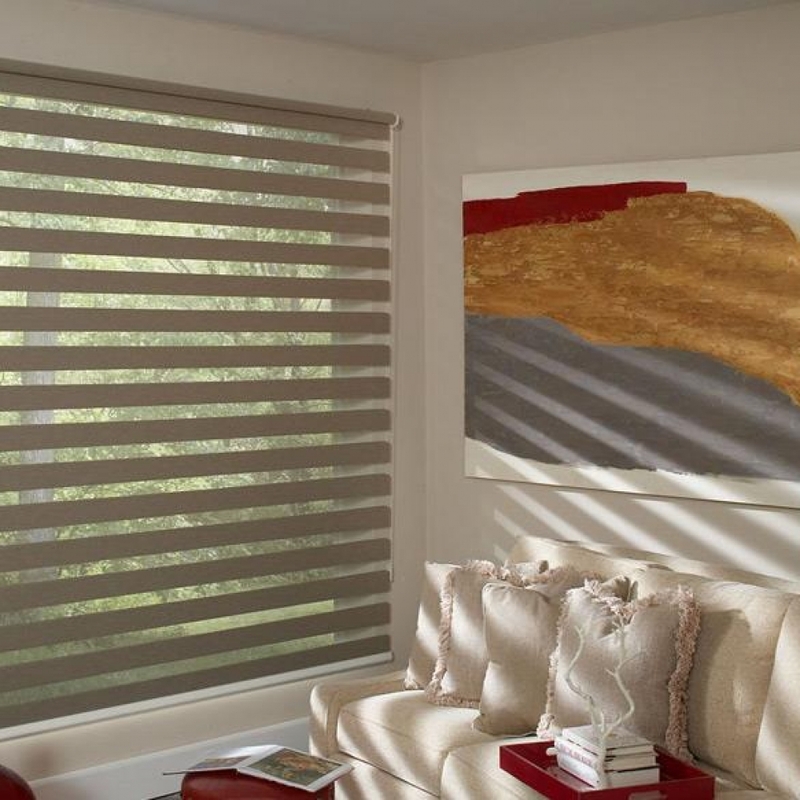 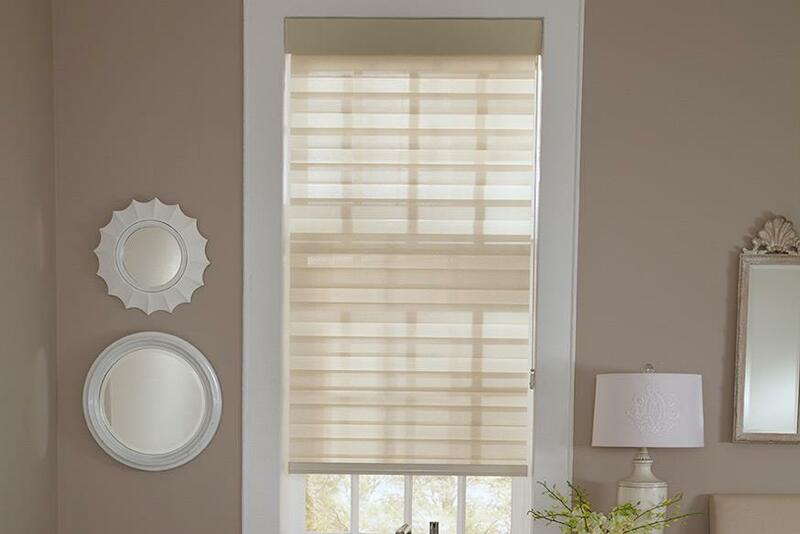 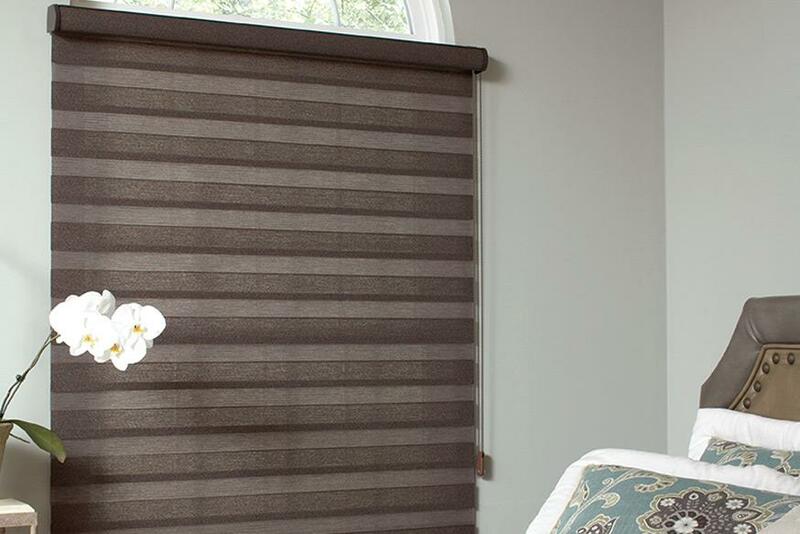 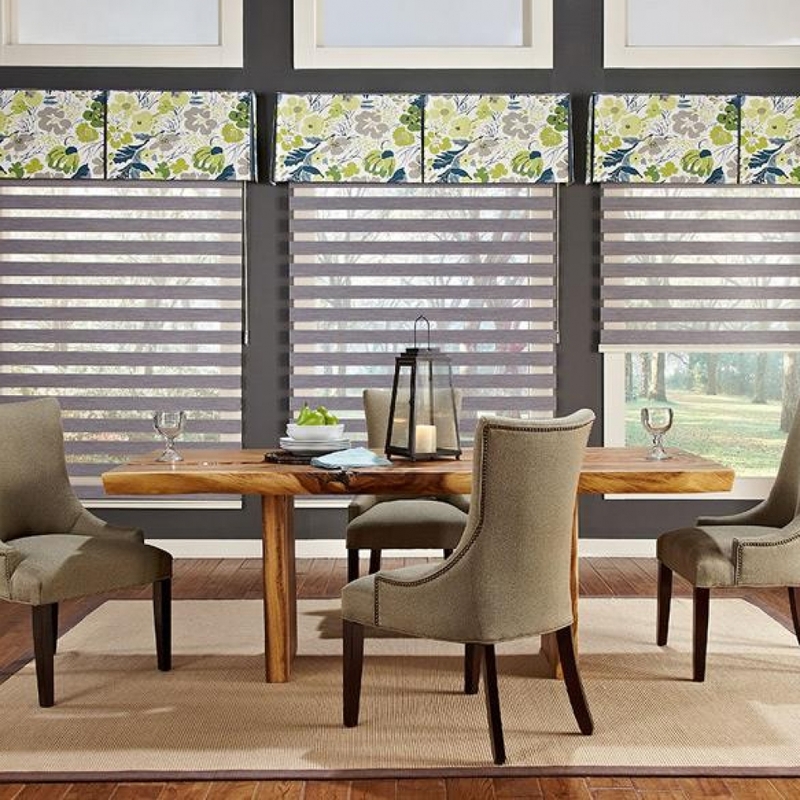 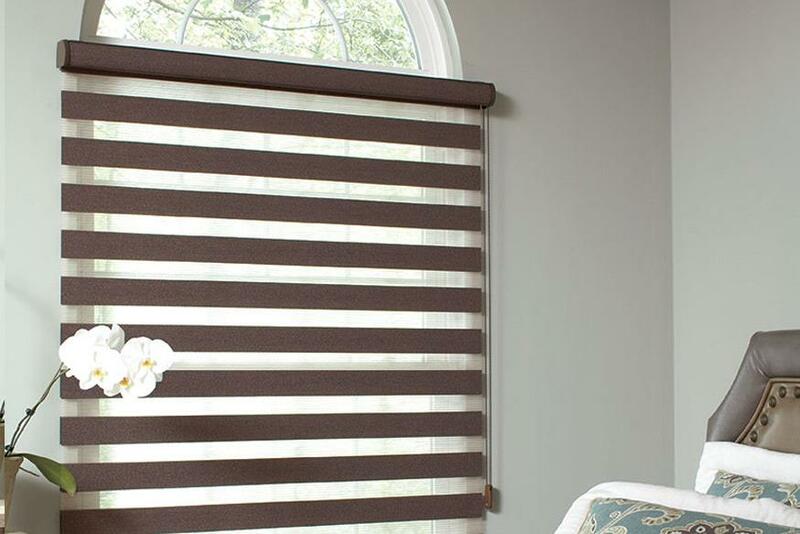 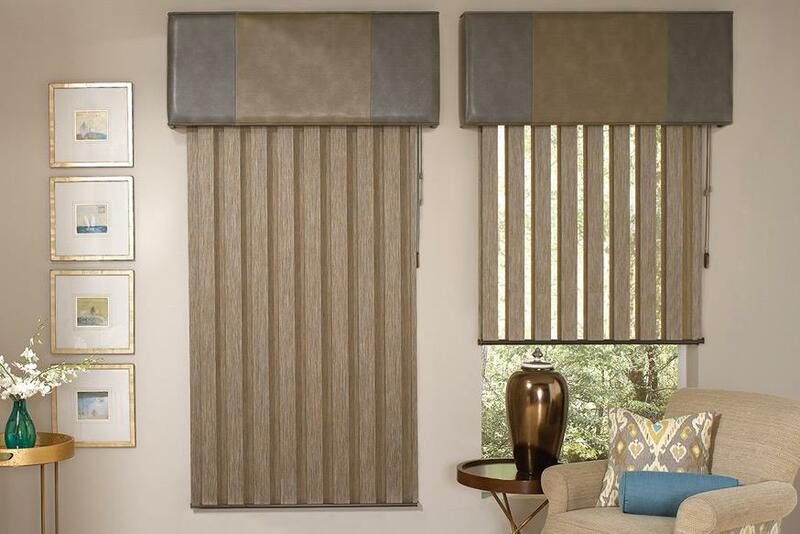 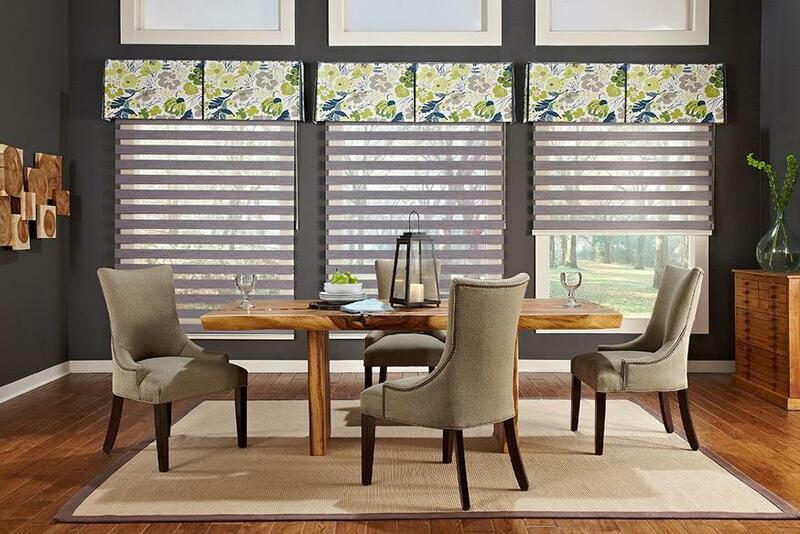 Allure Transitional Shades from Lafayette Interior Fashions® offer you the privacy of a window shade, the softened view of a sheer and the option of raising or lowering your shade. 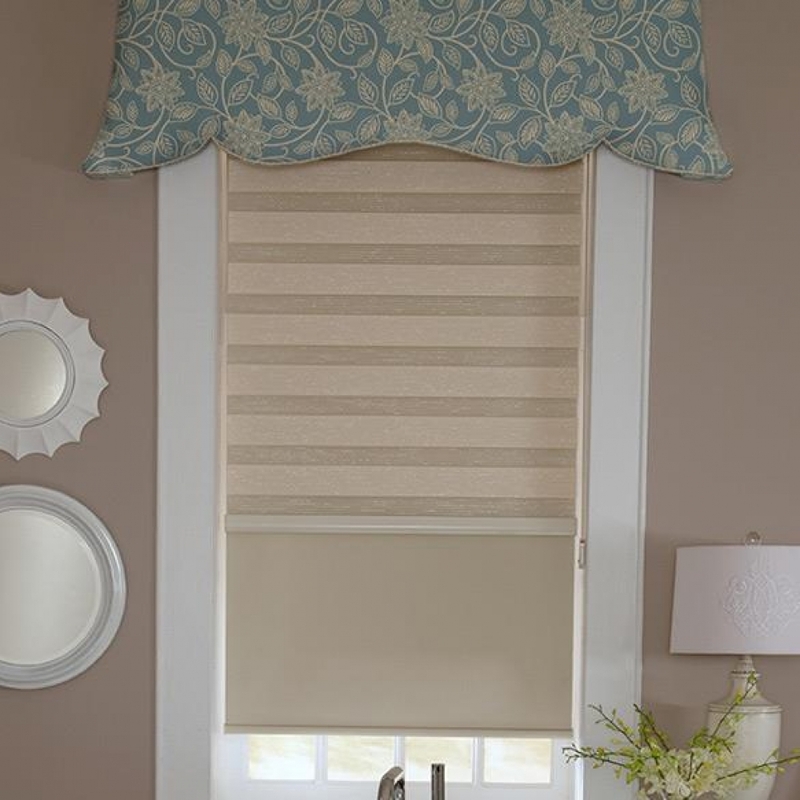 Allure Sundown harmoniously blends beauty with privacy. 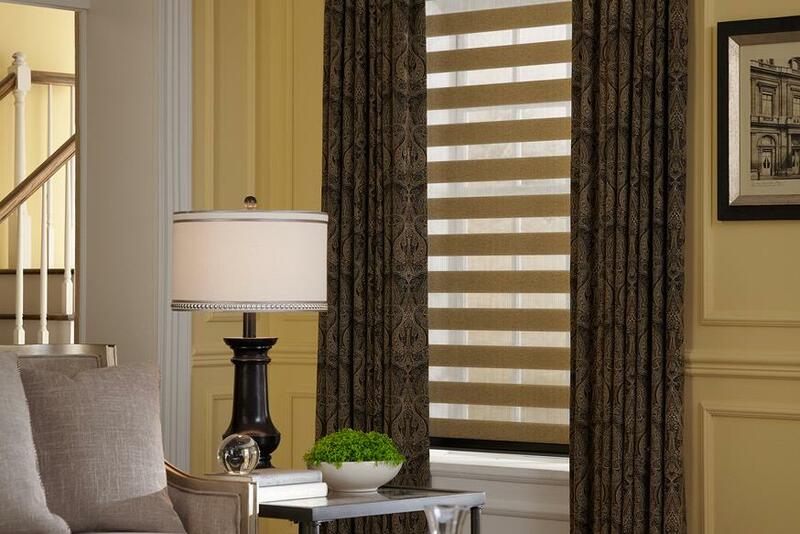 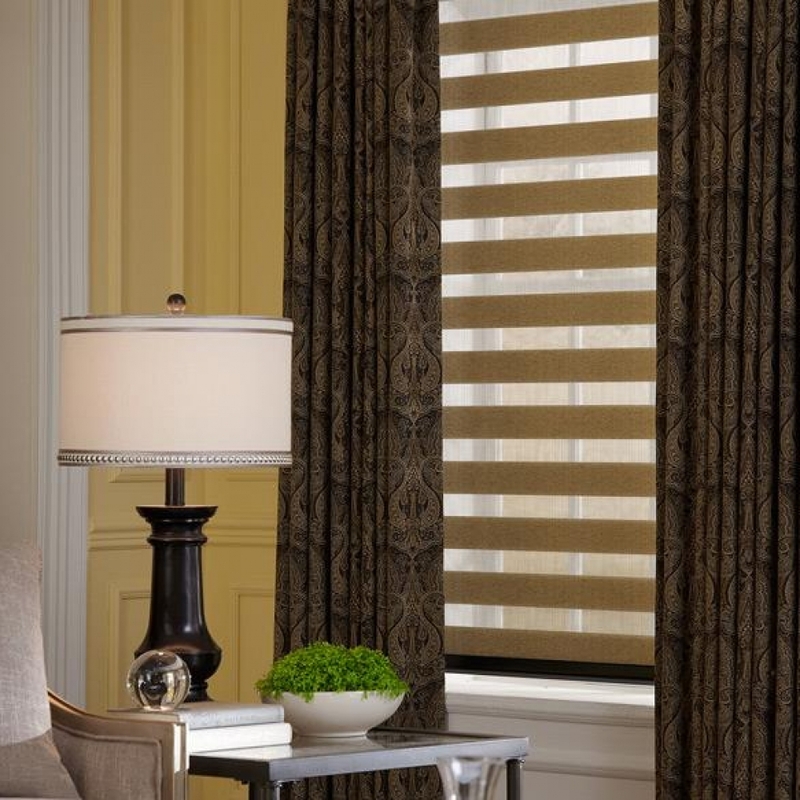 As the sun rises and falls, your transitional shades can transform from light filtering to total room darkening. 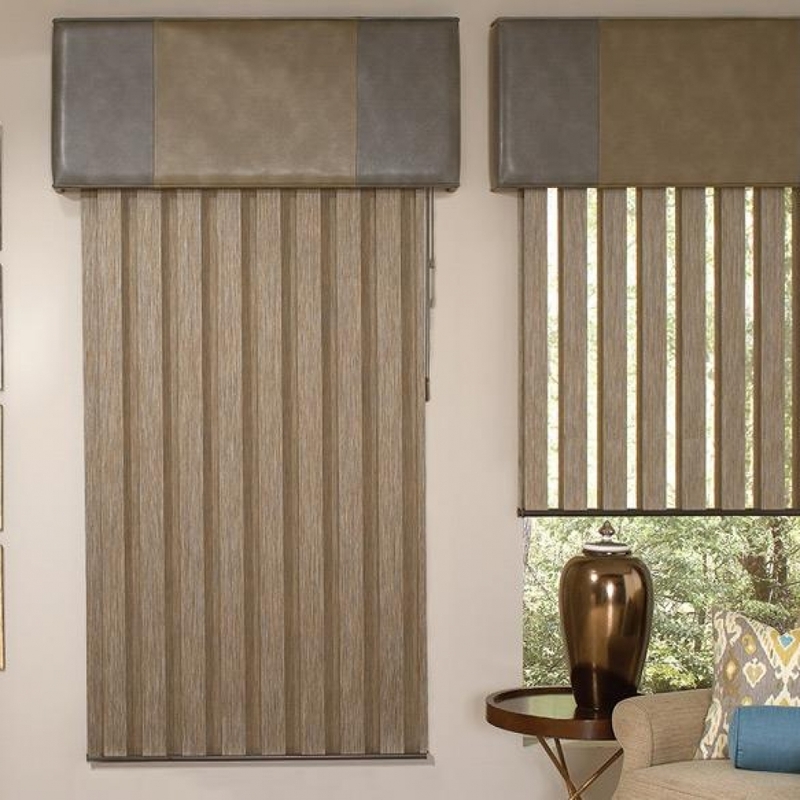 NEW Allure options include the Couplitaire, Modernaire and Visionaire! 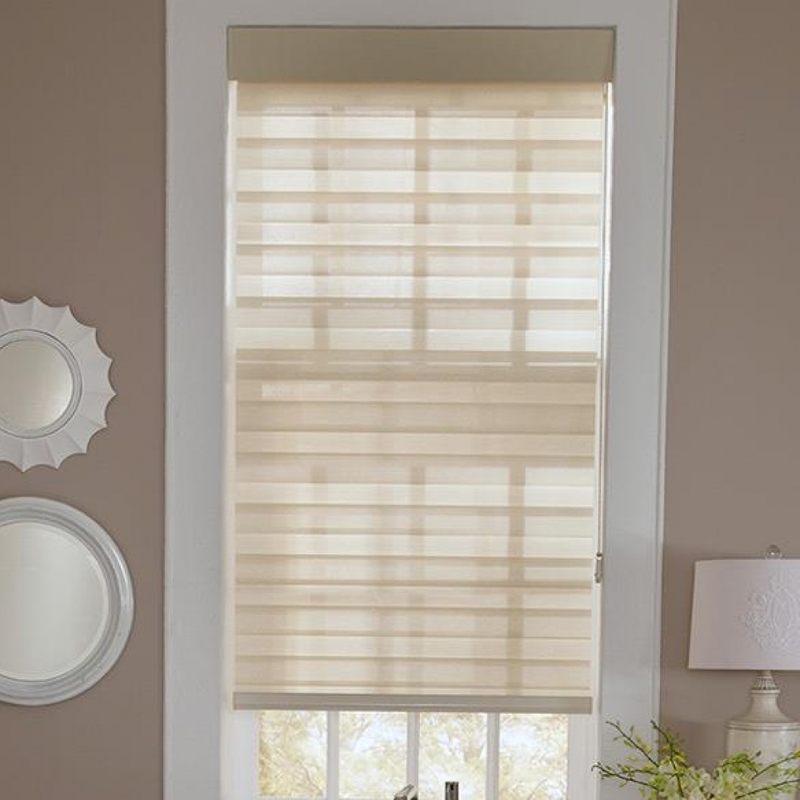 The Allure Couplitaire option offers two shades in one – an Allure shade to the room side and a Genesis privacy shade to the street side! 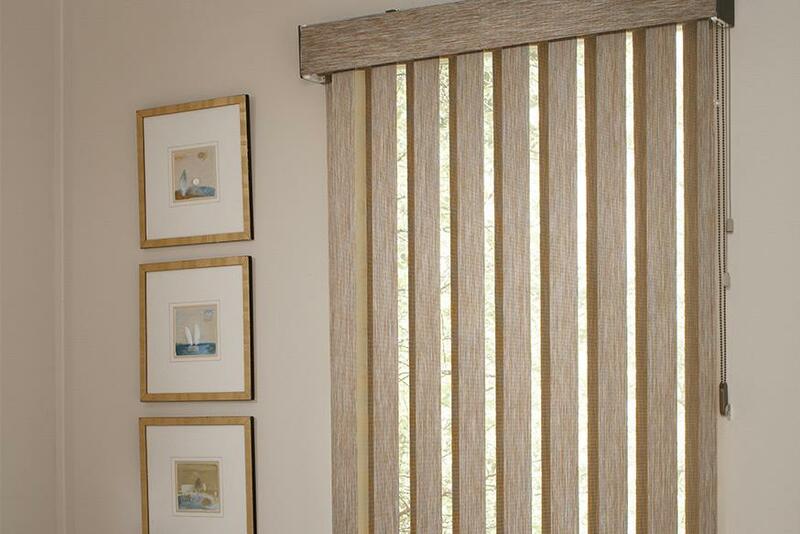 Allure Modernaire is cassette free for the barest of minimalist design and European style! 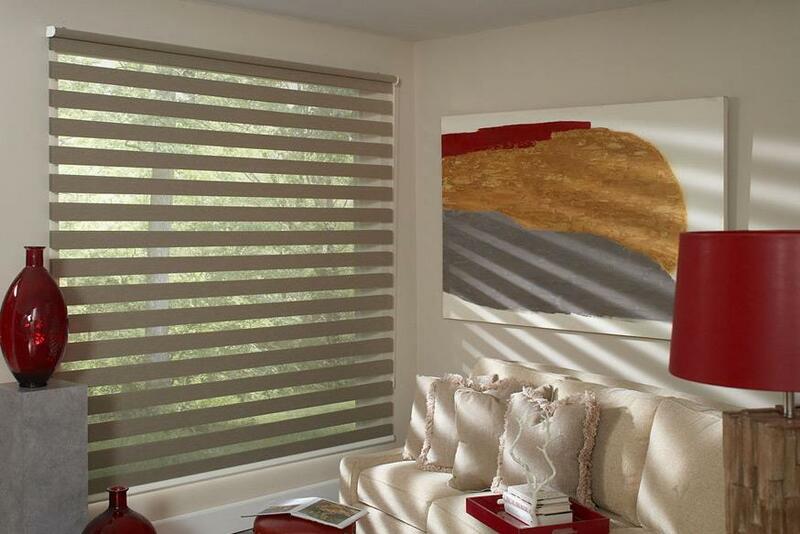 The Allure Visionaire is the VERTICAL orientation of Allure Transitional Shades. 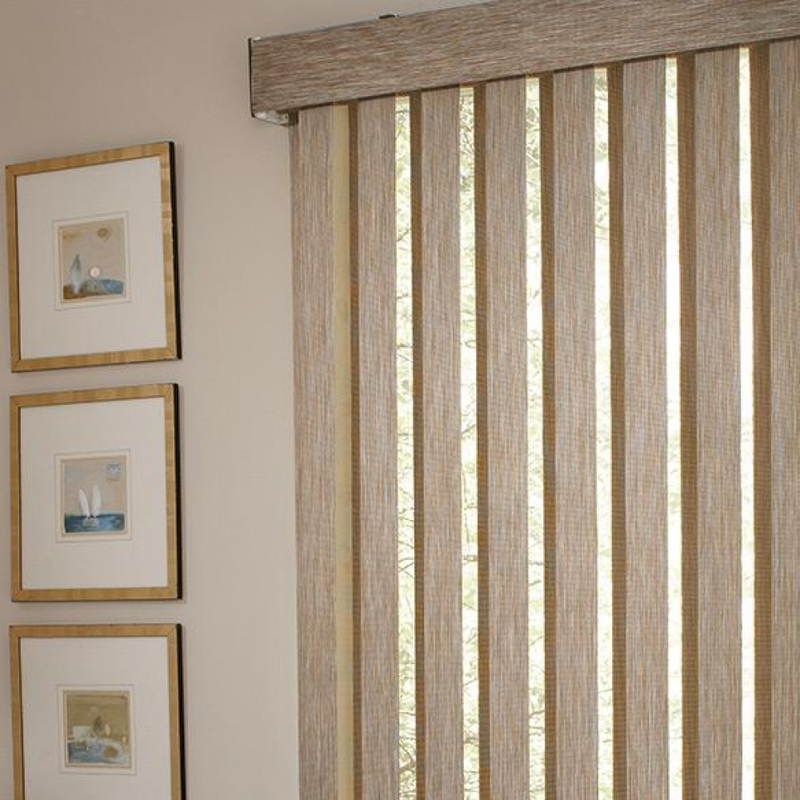 It’s versatility for use in windows or patio doors is unsurpassed. 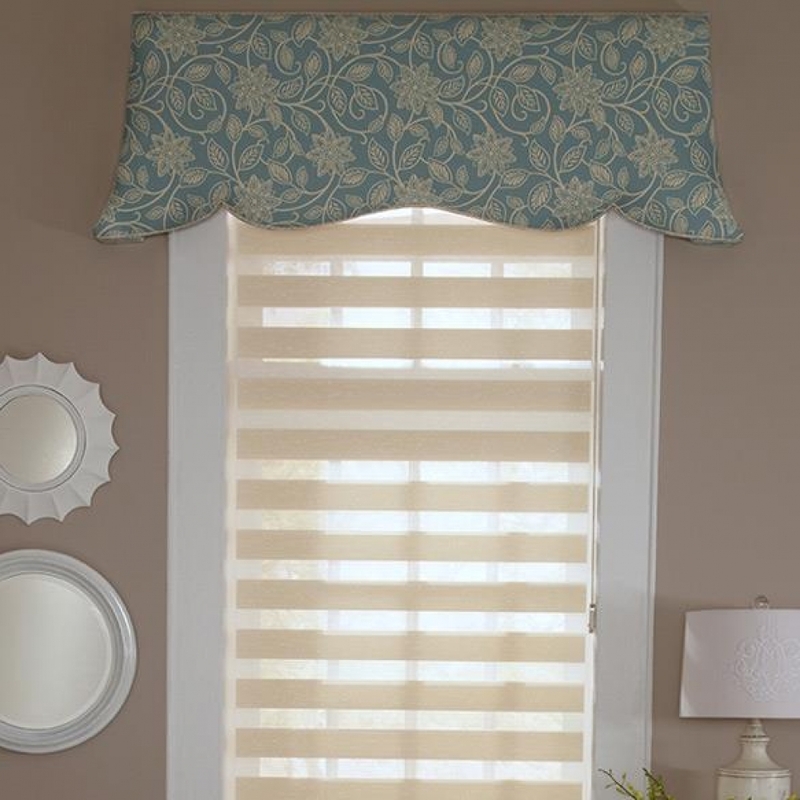 When installed on a patio door, the rollup into the fabric covered headrail is great for tight spaces where normal vertical blind stacking off the window is an issue.